Giant pandas at the Smithsonian National Zoo tumble in the snow, taking advantage of the chilly conditions that hit the D.C. area. 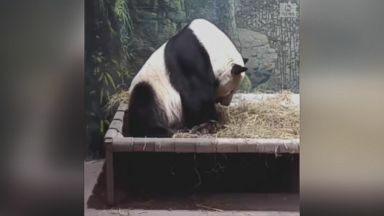 A Smithsonian National Zoo panda has all the time in the world to relax in its bed. 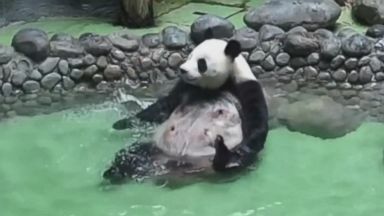 This panda at the Chengdu Research Base of Giant Panda Breeding in China knows how to enjoy bath time. The 8-month-old panda won't leave his zookeeper alone at the Chengdu Research Base of Giant Panda Breeding in China.